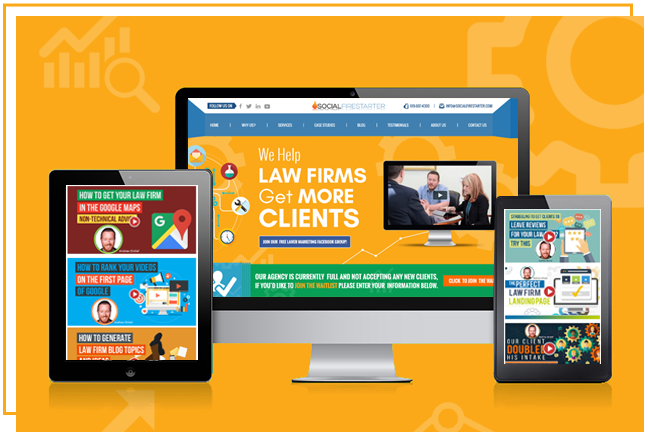 When our internet marketing company prepares blog posts for attorneys, we use a simple, proven method, so that we write only on traffic-generating topics that have a good chance of ranking high on Google. To do this right – and on your own – subscribe to SEMrush. Then click “Organic Research” in the left column, and then click “Competitors.” A list of your competitors’ sites will appear. Click the first competitor, and you’ll see a list titled “Top Organic Keywords.” Below that list (you may have to scroll down), click “Export,” and export the data into Excel. 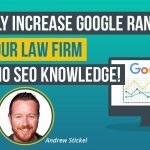 How Do You Find The Keywords That Top Lawyer Sites Are Using? 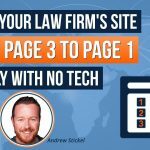 How Do The Top Lawyer Sites Connect With Consumers? By using as keywords the same phrases that consumers are using when they search, top-ranked sites connect with consumers like those in Orange County using “divorce lawyer fees” and similar phrases. Stealing your top competitors’ search phrases (not really – it’s public) puts you in a position to compete aggressively with those competitors – not just in Orange County, but anywhere. But what’s even more important than finding search phrases is identifying topics that consumers search for – and creating blog posts to address those topics. Your own field of law will generate its own topics. And even in family law, the topics that generate searches will vary from month to month and location to location. Can Your Writing Make The Difference? When you identify a topic with a high search volume, then look at what the top-ranked sites are writing about that topic in their own posts. 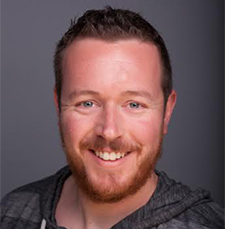 What you’ll typically find on those top-ranked sites is accurate but basic content. This is where your own insights and expertise come in. Improve on that basic content. When web pages are otherwise comparable, Google gives the higher ranking to the higher-quality content. Longer pages tend to rank higher, so write at least 1,000 words – 1,500 is better – and be sure to write something at least slightly longer than what your top competitors are offering. 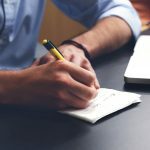 Length doesn’t guarantee quality, but you cannot offer quality, detailed content – or hope to be ranked high – with a blog post that’s too brief. How Should You Choose – And Use – Keywords? When you write, you can go to the “Keyword” column in the Excel file you downloaded, and include two or three of the terms with the highest positions and search volumes. Also be sure – you can look at the “URL” column on the Excel file – that you are using keywords from your competitor’s blog pages rather than from any “Home” pages. When you have a topic, enter it in Google, and you can also choose from the phrases Google provides at the bottom of each Google ranking page – the “Searches related to” phrases. Those phrases have high search volumes, but not all will pertain to your topic. You can get even more precise by using Google AdWords to identify the phrases that are currently getting the highest search volume. Try not to crowd search phrases into the text. Write naturally, and try to use search phrases naturally – and not more than twice in a 1,000 or 1,500-word blog post. How Can You Learn More About Topics And Content? To learn more about how our internet marketing company chooses topics and creates content, email us – info@socialfirestarter.com – or call us at 619-607-4300. We’re always ready to answer your questions and discuss marketing ideas.